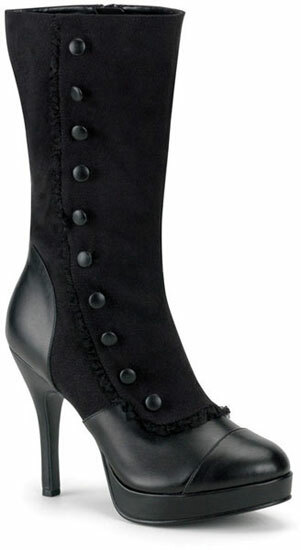 4 1/2 Inch Heel Black Microfiber Victorian Steampunk Boots with full inner zipper. These boots are just lovely! I ordered them a half size bigger than what I normally where and I the fit is perfect! Thank you so much for such a timeless design.